Researchers have issued a warning about a kind of stem rust that could damage wheat crops in the 2017 season. Results of lab tests showed that stem rust epidemics in Sicily last year were caused by a new and dangerous variant of race TTTTF, according to Denmark-based Global Rust Reference Center (GRRC). Researchers are warning that spores produced by stem rust may spread to this year’s crops in Europe, according to a report from Nature weekly magazine. “We have to be careful of shouting wolf too loudly. But this could be the largest outbreak that we have had in Europe for many, many years,” Chris Gilligan, an epidemiologist at the University of Cambridge in the UK, was quoted as saying by the Nature magazine. Gilligan leads a team that has modeled the probable spread of the fungus’s spores. In a statement issued February 2, the GRRC said the stem rust infected several thousands of hectares, and it could have produced a huge number of spores. There could be a “real risk of repeated outbreaks in the 2017 crop season if stem rust race TTTTF persists,” the center said. The organization also said that two new strains of yellow rust were also spotted for the first time. One was found in Europe and North Africa, and the other in East Africa and Central Asia. Farmers in at-risk areas should be fully ready, monitor crops for stem rust, and use registered fungicides. They need to control stem rust at an early growth stage to avoid losses, according to the center. Similar alerts about the three crops diseases were issued by the Food and Agriculture Organization of the United Nations (FAO) on February 3. Last year, stem rust destroyed tens of thousands of hectares of crops in Sicily. 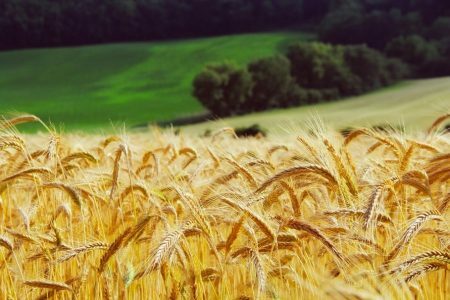 Europe is known as the world’s largest wheat-producing region. According to Mogens Hovmøller of the GRRC, the region has not been seen stem rust epidemics in Europe since the 1950s. Hovmøller, who leads the center’s testing team, thinks that there is a great need for an early-warning system in Europe. In next few weeks, he will join other experts to ask the European Research Council to release funds for the establishment of the warning system. Such a system will help partners – including breeders, scientists, and agrochemical firms in Europe – to share investigative facilities and information about potential outbreaks. Fazil Dusunceli, a plant pathologist at the FAO, believes that such a warning system might have helped to mitigate the Sicily outbreak. “I wouldn’t question the necessity for an early-warning system,” he said. The GRRC is part of Aarhus University in Denmark and the International Maize and Wheat Improvement Center.